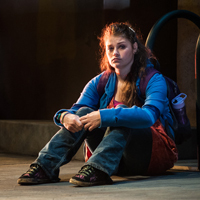 Hannah Mootz in Seattle Repertory Theatre’s Bo-Nita, 2013. Photo: Nate Watters. 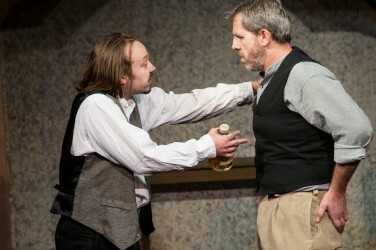 Nick Mathews as Teffy Terry, Phillip Keiman as Harnessy. 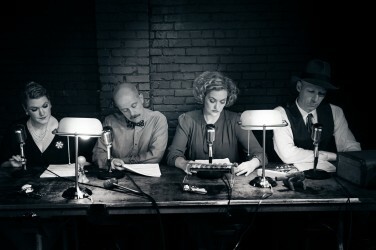 Perhaps the best show I have reviewed this whole season, Flame in the Mirror, opened this weekend, at Eclectic Theatre Company in the Pike/Pine corridor, written by a Capitol Hill homeboy, playwright, John Ruoff. Alan Ayckbourn has come to Seattle to direct the U.S. première of his ten-year-old play Sugar Daddies and has delivered a wonderful night of theater. This dark comedy features Ayckbourn at full strength: self -assured, imaginative and highly entertaining. ﻿How Irish is my Father. 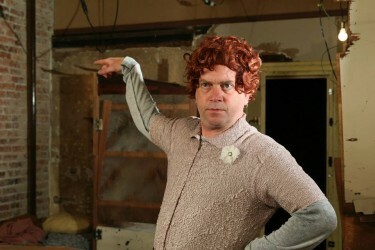 The Walworth Farce, by contemporary Irish playwright Enda Walsh, produced by New Century Theatre Company, opened at New City Theatre and was directed by the former’s artistic director, John Kazanjian. Like many Irish plays, it deals with fractured family relationships, exile from the old country, poverty, greed, violence and alcoholism, all played out in one bed-sit ( more or less a studio apartment) in the South London immigrant neighborhood of Elephant and Castle. Supposed comic activism needs more active comedy. 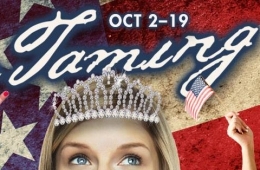 On the second day of the Federal government shut-down, Artswest opened a Co-world premiere, The Taming, by Lauren Gunderson a comedy about the current polarization of American politics.